To enter, use the Rafflecopter widget below. Each entry will give you points. 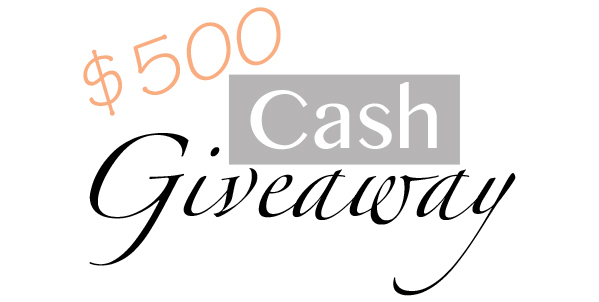 The more points you earn, the closer you are to winning the $500 cash prize! After completing all of the mandatory entries, it will unlock more options of how to enter and bring you one step closer to winning. The giveaway will run until Friday September 27th. Good Luck and be sure to check out all of these inspiring blogs.